Two people were uninjured after a plane crashed off the Payson Municipal Airport – Rich Henry Field runway. The Piper PA31-310 Navajo went down Friday night, coming to a stop just off the runway on its nose. 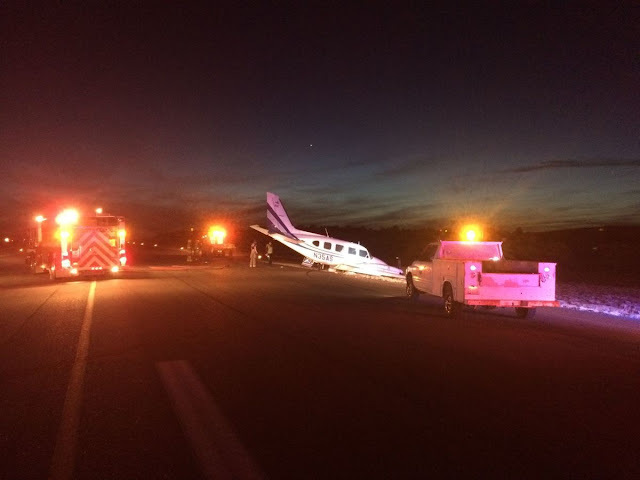 Ian Gregor, spokesperson for the Federal Aviation Administration, said the nose gear and one main landing gear collapsed after the aircraft landed in Payson around 7 p.m.
Two people were aboard and neither was injured, both walked away from the crash, said Payson Fire Chief David Staub. The runway was closed roughly 2.5 hours until the aircraft could be removed.